What is it? Enhancements have been made to Clickcast filters to boost data readability, as well as improve the ease-of-use of current workflows within the platform. The improved filters serve to help recruitment advertisers understand data quickly and accurately, and answer any questions around campaign and publisher performance. Why use improved filters? The Clickcast filtering functionality has been modified to make frequently used filters easier to access and take action on. With a better filtering experience, recruitment advertisers will be able to easily identify what values are visible, providing better transparency into what data is being reviewed. A new search bar has been added to the Activity and Campaign pages in Clickcast. More filtering options and the ability to select multiple campaigns or publishers is now available when clicking the “More Filters” button. 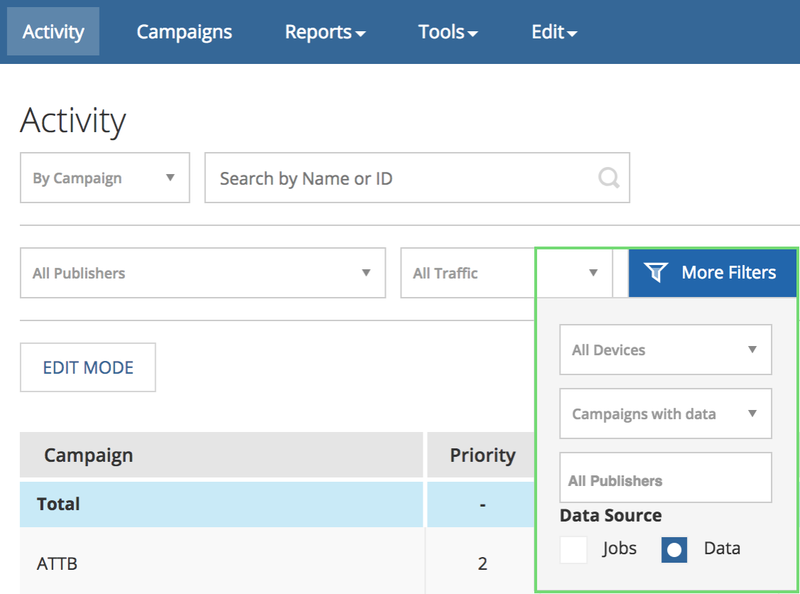 If multiple campaigns or publishers are selected, they will be shown under the filters. Job Status checkboxes on the Job Details page have been transformed to dropdown options. Each individual option is available in the dropdown, as well as combinations for Active Jobs (Sponsored + Unsponsored) and All Jobs (all checkboxes). If you have any questions or comments about changes to the filters inside Clickcast, please reach out to your Account Manager.